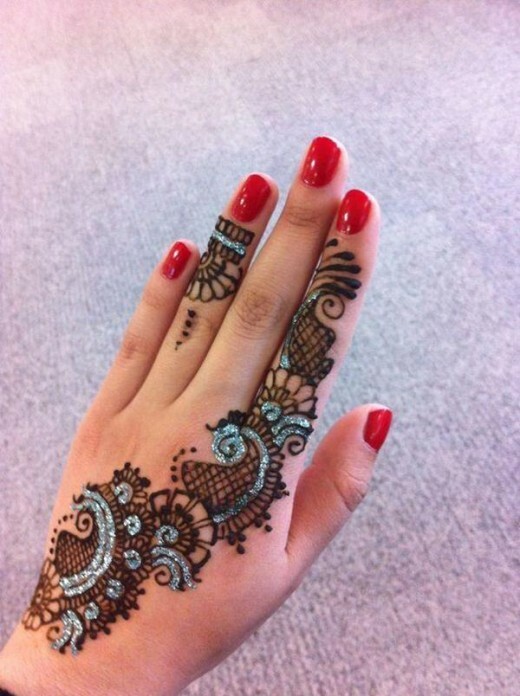 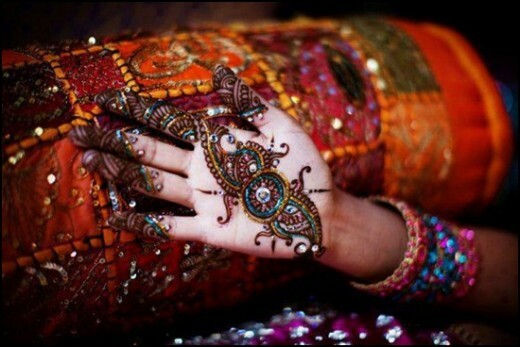 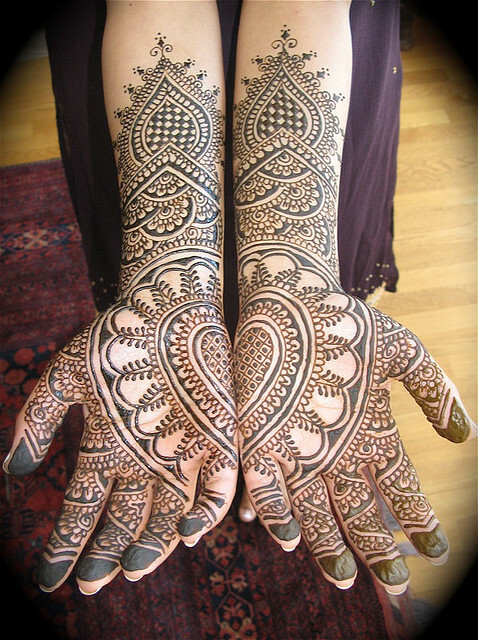 Mehndi’s have been a lifelong traditional form of body art much like our western influenced tattoos. 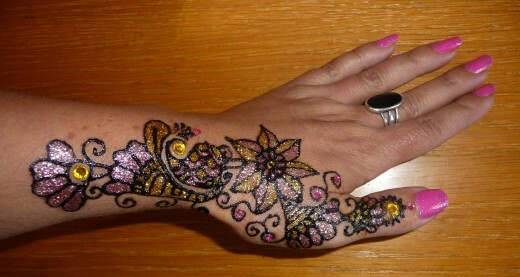 Glitter mehandi is a rather new practice that is becoming popular very fast. 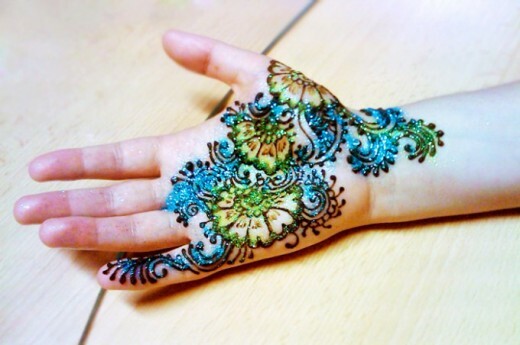 It is the process of applying temporary color tattoos with glitter to create an enchanting design on hands. 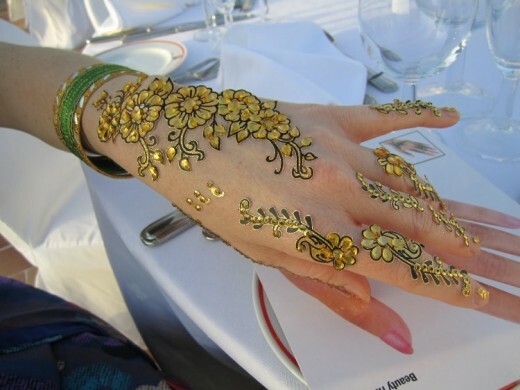 You will surely love to add some glitter to your mehndi design to make it apt for any special occasion like party or marriage, and even match it with your outfit. 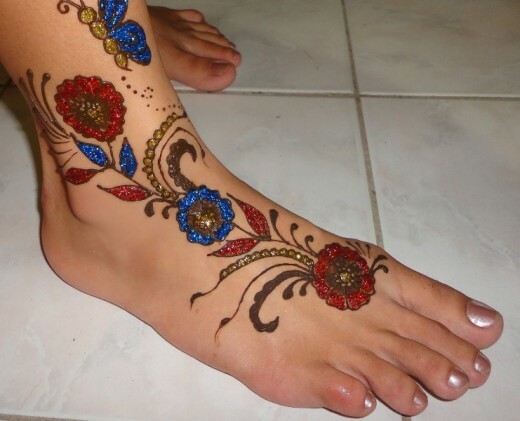 Here, I have collected a few beautiful glitter mehndi designs for summer 2014 that you would definitely would want to try on your hands and feet. 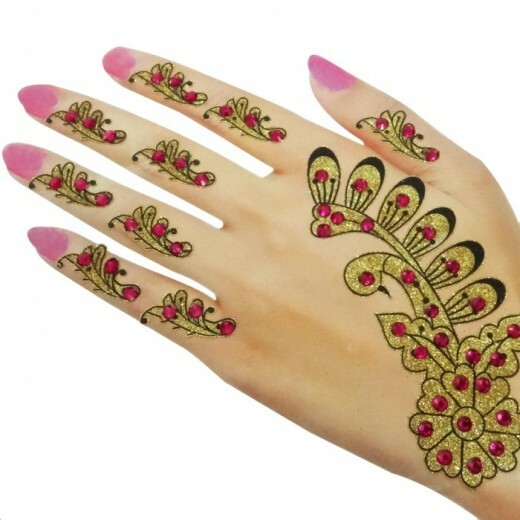 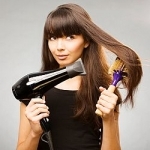 You can get the right touch by combining traditional feminine symbols with more modern motifs like butterflies etc. 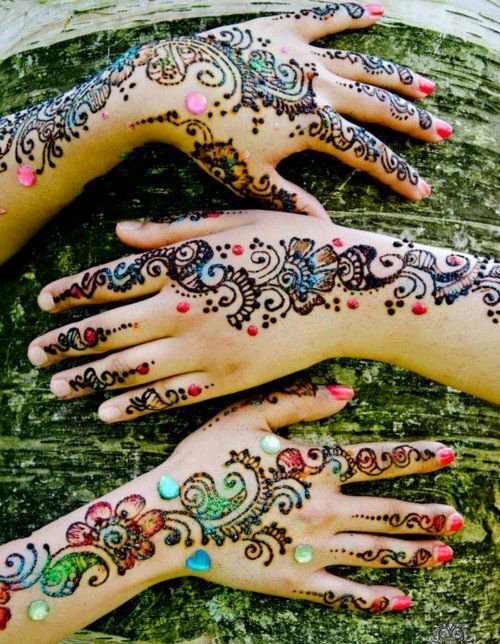 If you like this effort then don’t forget to take a look on other articles: Stylish Handmade Bangles for Girls, Fresh Shoes Trends for Spring, Super Hairstyles for Valentine’s Day and How To Relieve Pregnancy Back Pain.